.....a private horse boarding facility offering a unique, welcoming, peaceful atmosphere in a beautiful, secluded countryside setting. 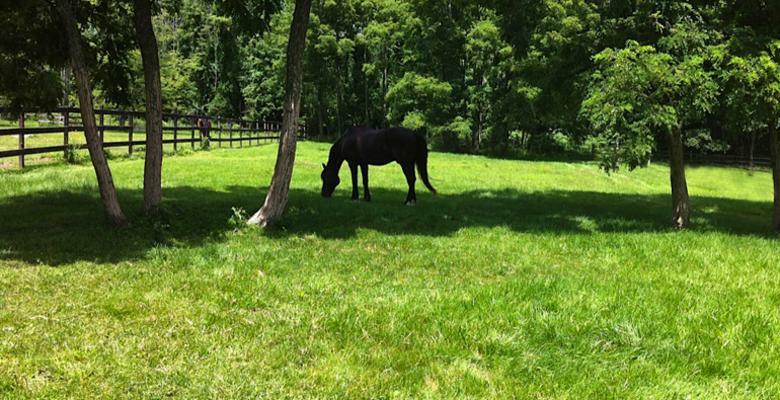 Situated on over 20 rolling acres of well-kept verdant pastureland with a large lighted outdoor arena and access to miles of picturesque trails and dirt roads, our farm is family owned and managed by horse people dedicated to providing first class horse care and management. Our experienced, educated and caring staff will nurture your horse with the expertise and professionalism that will allow your horse to flourish. We offer a choice of either stall board with individual grass turnout or rough board in one or two horse fields with roomy sheds. Browse our website then come for a visit. We look forward to meeting you.